How inclusive is our democracy? Who gets access to the privileges and responsibilities of citizenship, and on what basis? We welcome you to a guest lecture by Kathy McMahon-Klosterman, where we will explore these pressing issues. McMahon-Klosterman is Professor Emerita of Educational Psychology, Women's Studies, Disability Studies, and Interdisciplinary Studies at Miami University Ohio. Drawing on her experiences working with student activists at Miami to make real change on their campus, McMahon-Klosterman will instruct us in the art of active citizenship. People with disabilities have historically been excluded from the decisions that affect their lives and freedoms, which is why the mantra of the disability rights movement is "nothing about us without us." 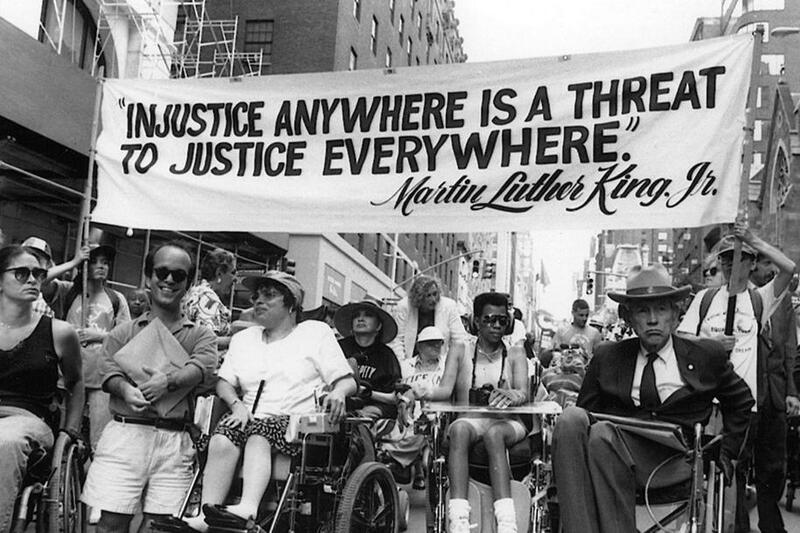 At the same time, nondisabled allies play a vital and necessary role in disability activism. Professor McMahon-Klosterman will help us understand the challenges of diversity as well as the power of coalition. This event is sponsored by Duke Disability Alliance, the Health Humanities Lab, and the Forum for Scholars and Publics. A reception will follow the lecture and discussion, with the Palace International catering.